Personal relationships are always tricky, but they’re even trickier when they revolve around running a business worth billions of dollars. Just ask Steve Ballmer and Bill Gates! In a recent interview with Bloomberg TV, Ballmer expanded on his relationship with college friend and Microsoft co-founder Gates, explaining that the two have “drifted apart.” The reason? Those gosh darn smartphones, for one. Of course, once Microsoft actually did hop on the mobile train, the results weren’t great—it even started giving away its mobile phones in April, and in May, it announced it was “streamlining” its smartphone hardware business. Had he done things differently, he would have dove in sooner. “I would have moved into the hardware business faster and recognized that what we had in the PC, where there was a separation of chips, systems and software, wasn’t largely gonna reproduce itself in the mobile world,” he said. 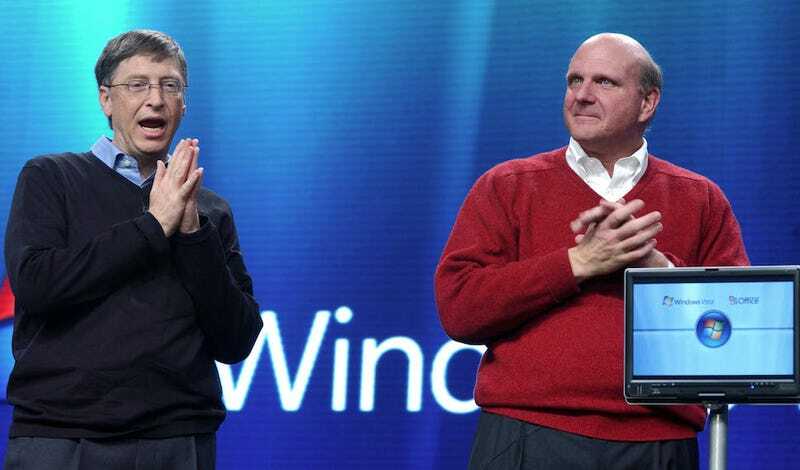 Well, at least Ballmer will always have his developers.